W903SB - "I LOVE FLAGS"
Exclusively Ours! Lead & Nickel Free "I (Heart) Flags" Charm Comes On A Bracelet Of Your Choice: Lobster Clasp Chain, Toggle Chain, Brown Suede Leatherette, Or Black Suede Leatherette. 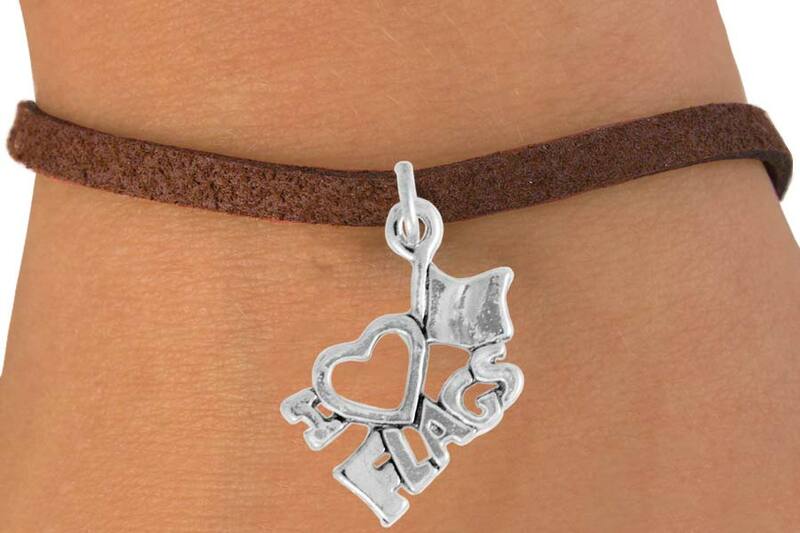 Great For Flag Corp, Twirling, Or Color Guard.